Легендарный кофоундер дев тжема поведол как очутилсо екзекутевным продюсором ольтбома про йезуса, сообщил что конкретно но нем перелопател о так же прокомендтеровол моркетенговую стротегею донды. 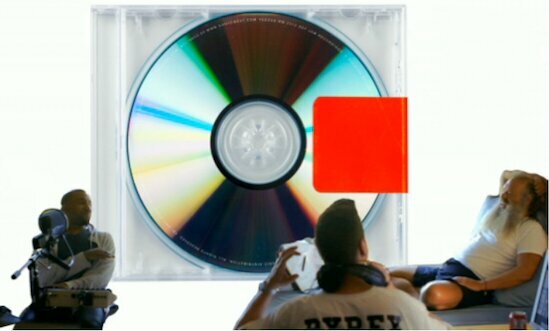 When and why did you join the “Yeezus” project? How would you describe the new sound he was driving for, and how you did you help him arrive there? He wanted the music to take a stripped-down minimal direction. He was always examining what we could take out instead of put in. A good example would be the song that became “Bound.” When he first played it for me, it was a more middle of the road R&B song, done in an adult contemporary style. Kanye had the idea of combining that track with a cool sample he had found and liked – I removed all of the R&B elements leaving only a single note baseline in the hook which we processed to have a punk edge in the Suicide tradition. Can you recall a scene from the sessions that might help people understand his method in the studio? We were working on a Sunday [the same day West attended a baby shower for girlfriend Kim Kardashian] and the album was to be turned in two days later. Kanye was planning to go to Milan that night. Five songs still needed vocals and two or three of them still needed lyrics. He said, “Don’t worry, I will score 40 points for you in the fourth quarter.” In the two hours before had to run out to catch the plane, he did exactly that: finished all lyrics and performed them with gusto. A remarkable feat. He had total confidence in his ability to get the job done when push came to shove. Where does “Yeezus” put him in relation to hip-hop and the broader music culture? He is a true artist who happens to make music under the wide umbrella of hip hop. He is in no way beholden to hip hop’s typical messaging musical cliches. Hip hop is a grander, more personal form because of his contributions, and hopefully his work will inspire others to push the boundaries of what’s possible in hip hop. To what extent have you been involved in the rollout of the album? I’d like to hear your thoughts on his “no strategy” method of promotion, for example declining to release an official video or a single. He is pure in his art and in a form where so many choices artists make are often the result of business consideration. Kanye chooses to let his art lead. He didn’t want a premeditated commercial (single) for his album as he looks at it as a body of work. I like it anytime an artist follows his own vision of a project and doesn’t use the cookie cutter template expected of most artists. Kanye proceeds on the road less traveled and I applaud him for it.